Dr. Randol Womack and team at Affiliated Orthodontics will be joining the world in acknowledging Earth Day on April 22nd as a way to demonstrate our support for environmental protections. 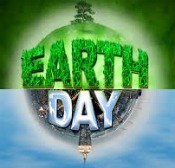 Earth Day was first celebrated in 1970 among two thousand colleges and universities, approximately 10.000 primary and secondary schools, and hundreds of communities across the US. Twenty million Americans ventured outside for peaceful demonstrations in favor of environmental reform. Today, this event is now coordinated globally by the Earth Day Network and celebrated in more than 192 countries each year. Did you know the each person throws away approximately four pound of garbage every day? We are now living in an age of commitment and movement to protect our planet and its resources to secure a sustainable future. With Earth Day Coming up, we wanted to discuss what we do to conserve natural resources and the environment. Our office is digitalized, which means we can operate without the use of large amounts of paper and printing materials to reduce trash and recycle whatever small amounts we produce. Information to both patients, parents, and dentists can be sent and processed digitally which is much more efficient and environmentally friendly way of communication. Appointment reminders are sent via digital formats. Make sure you are signed up for this convenient service. We all need to work together saving our beautiful planet that we can no longer take for granted.